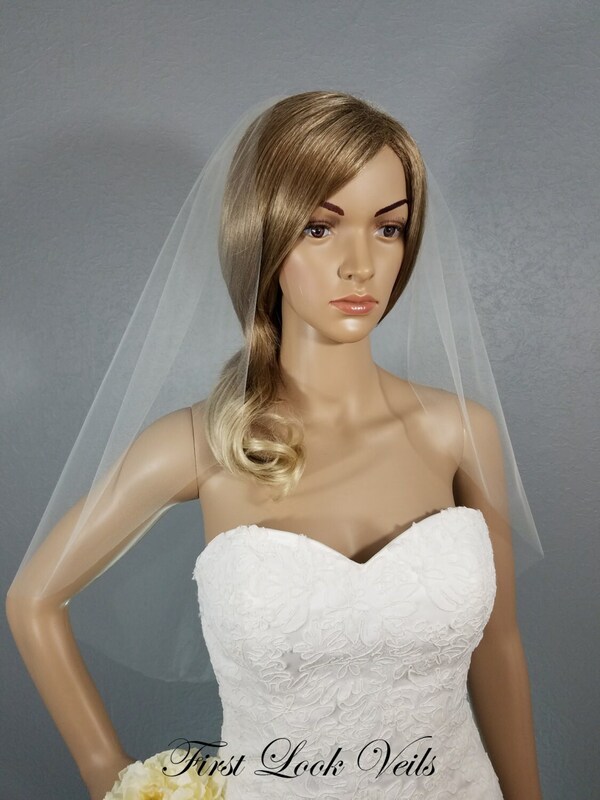 This handmade soft one layer traditional elbow length bridal veil has a raw edge. 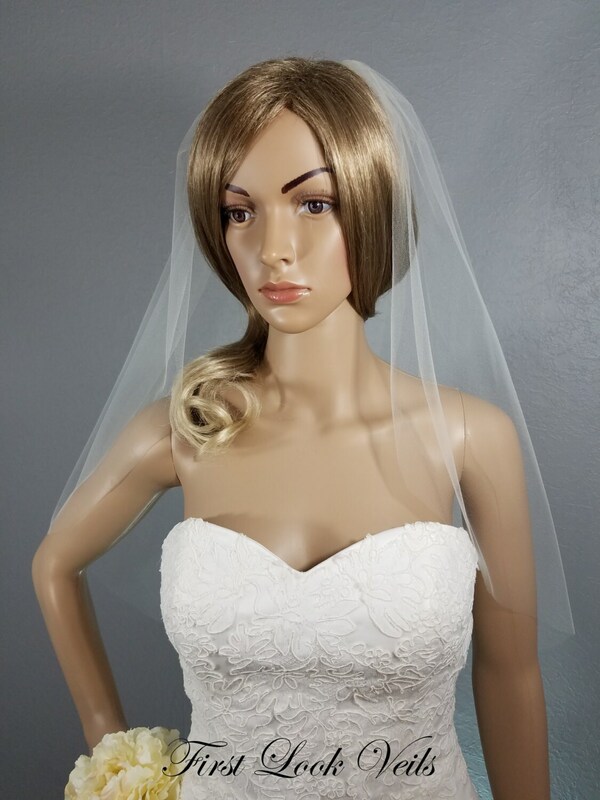 It is designed from 72 inch wide Bridal Illusion tulle and is 25 inches long. The wedding veil is attached to a tulle wrapped metal comb. 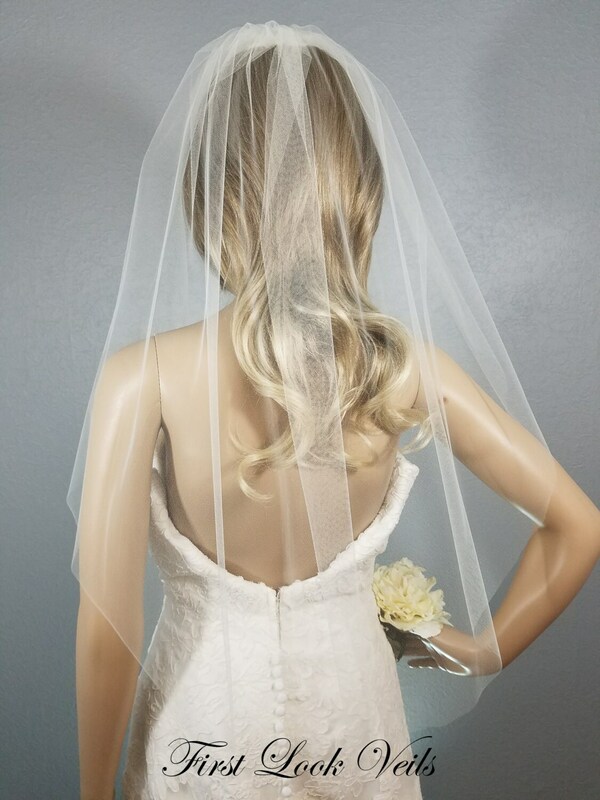 The plain veil will compliment any style wedding dress.